This little guy is a vaporizer’s dream come true. We have very few complaints about the discreet pocket vaporizer that looks like an asthma inhaler! The Puffit chamber is incredibly easy to load. To begin, we recommend using only finely ground herbs. Twist the cap at the top to reveal your Puffit’s herb chamber. Once your herbs are loaded inside the chamber, twist the cap back on. Removing the magnetic cap over the mouthpiece will then turn on the unit. Slide the mouthpiece halfway off and you’ll notice the heating regulator on one side and the USB cable socket on the other. If you put the mouthpiece back on the Puffit, the magnetic cap will snap back in, which turns the Puffit off. But we don’t want to think about it off. Let’s vape! Heating up with the Puffit is a breeze. It utilizes a proprietary heating system and a gold-plated micro-hole chamber wall. The micro-holes allow for thorough vaporization of the active ingredients and makes cleaning up incredibly easy. Just push down firmly on the lid for 2 seconds and when you hear a slight click, the red LED will start to flash slowly. When the light turns green, it’s time to Puffit! We recommend setting the heating regulator to 6 or 7 for an experienced vaporizer to get an optimal hit; anything higher will scorch your herbs. 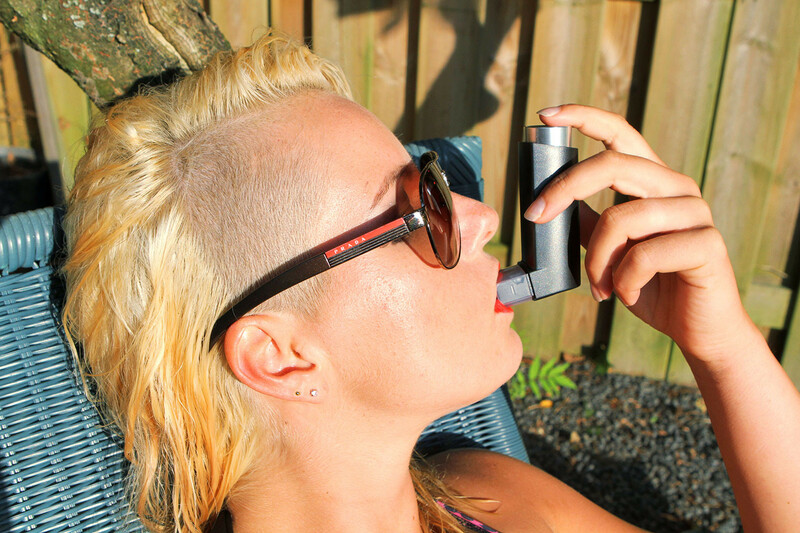 You should feel it in your lungs quickly thanks to the Puffit’s rapid onset time. We found it’s best to take short little puffs rather than big gulps like you would with an asthma inhaler. The one downside to the Puffit herbal vaporizer is that it has to lay on its side when not in use. It’s a portable vape after all, so this isn’t really too much of an issue. 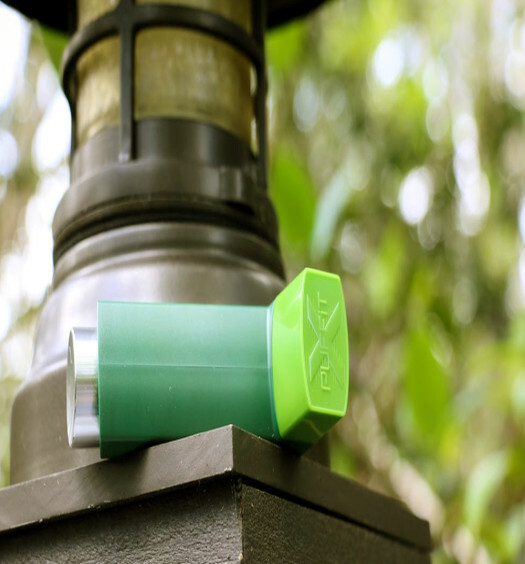 We love the Puffit for its stealth, ease of use, and clever design. 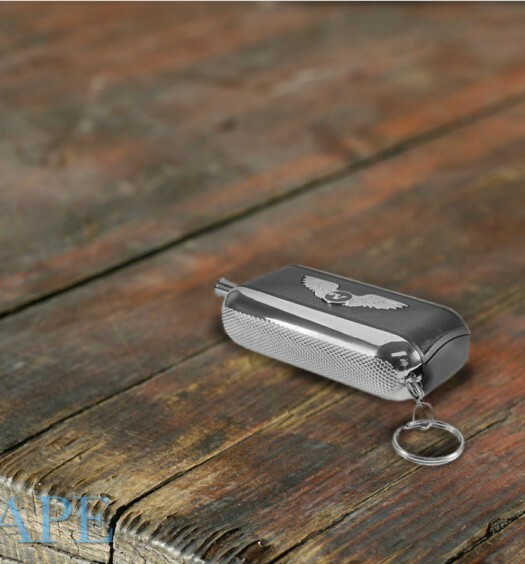 This is a potent portable vaporizer that is a real value for the price! The world has been waiting for a vaporizer designed like an inhaler for a LONG time, and the Puffit is the first one to market. It may not be as solid as other portable vaporizers, but it does the trick!